HONDA FURY PROFESSIONAL PLUG 'N PLAY HID KIT SoCalMotoGear.com - Professional Grade Motorcycle Lighting - Plug N Play Products - "Riding at night has never been brighter!" 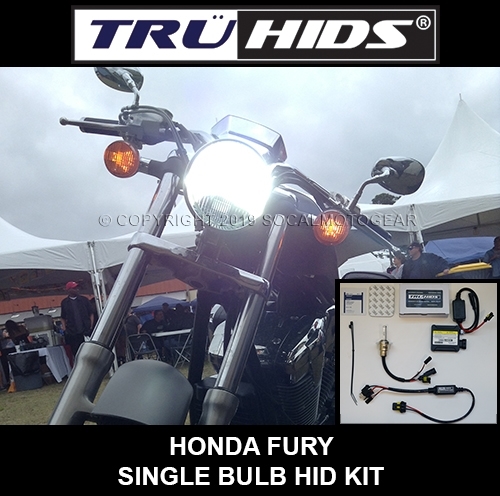 Road tested by actual Honda motorcycle owner's, which means you get a tried and true custom quality kit. If you can replace your light bulb, you can install it!